The murder at Cyrene of Herbert Fletcher DeCou on the morning of March 11, 1911, has never been solved. At the time, it was an international incident involving the United States, Italy, and Turkey. Richard Norton, director of the Archaeological Institute of America's expedition, blamed the Italian consul at Benghazi. But even a show of force--a U.S. Navy cruiser accompanied the expedition when it returned to Cyrene--failed to produce either the assassins or whoever backed them. 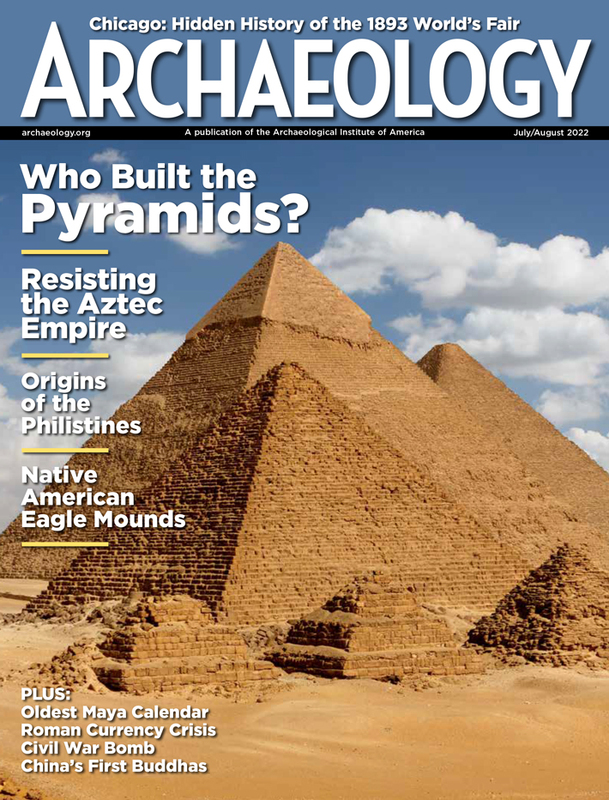 Francis W. Kelsey, a professor of classics and archeologist at University of Michigan, wrote a lengthy account of the killing and an obituary of DeCou that appeared in the June 1, 1911, issue of The Nation. "Just before eight o'clock in the morning Mr. Norton was aroused and informed that shots had been heard in the direction of the Acropolis, above the camp. Proceeding hastily thither, he found his friend already dead. Mr. DeCou had started for the place of digging on the Acropolis, the workmen straggling along after him. About halfway up the slope he fell, pierced by two bullets fired by Arabs concealed behind a wall barely 70 feet away. The assassins, three in number, mounted horse and rode swiftly inland. Owing to the inaccessibility of the site, arrangements were made for burial near the camp. The rude coffin was wrapped in an American flag. The service was read by Mr. Norton. The grave looks out from the face of the Plateau of Cyrene westward, toward the home land." A native of Good Harbor, Michigan, DeCou was born in 1868. He studied classics at the University of Michigan, where he later filled temporary vacancies in the faculty. He declined a permanent post there, however, preferring to work in Athens and Rome. "He was eagerly sought," wrote Kelsey, "for the staff at Cyrene, because of the accuracy of his observation and working methods, and the range of his knowledge of archaeological detail, in which he was surpassed by no living scholar of his years." A party of American archaeologists has begun to excavate Cyrene. We know no more than the bare fact, and can but wish them all success in their realization of what has been a dream of diggers for many years past. From one point of view, they have the most delightful task that could fall to an excavator, for they cannot fail, if they search at all, to find, and to find largely. From another point of view, however, the task is a disagreeable one. The place is very remote from civilization--wild and even dangerous. Hogarth went on to describe the armed Arabs of the Hasa tribe and the 50-year-old convent (Zawiya) of the Senussi brotherhood, "who are sworn to resist European encroachment." He predicted that the Americans would have the best chances of success in their second season, by which time the local Arabs would have come to accept their presence, and "hate and fear will yield to self-interest." Hogarth knew the situation at Cyrene, for in 1904 he had visited the site in the yacht Utowana, as one of the guests of the Chicago millionaire, Allison V. Armour. Armour and Hogarth were, in fact, both to become members of the committee sponsoring the American expedition of 1910-1911, led by Richard Norton, a Bostonian of cosmopolitan experience. What Hogarth did not know when he wrote his feature story, was that the predicted danger had already proved a reality, and that on the morning of March 11--just one week earlier--Herbert Fletcher DeCou, epigrapher to the expedition, and close friend of Norton, had been shot dead by two bullets fired at a range of 20 yards. DeCou, a 43-year-old native of Good Harbor, Leelanau County, Michigan, had graduated at The University of Michigan in 1888, and had subsequently taught at the university for short periods; but he had spent most of his adult life abroad, including appointments at the American Schools of Classical Studies at Rome and of Athens. He was a sound scholar, but of a very shy and retiring character: like his friend Norton, he was a bachelor. The motives for the crime were not personal. The assassins were from a distant tribe and were unknown to the excavators. There is reason to suppose that the bullets were intended for the director, and that the purpose was to thwart the undertaking by driving the Americans from the country.... As to the instigation of the crime, it need only be said that among all the foreigners settled in the Cyrenaica and the natives with whom I talked, I have never heard a contradiction of the report which was general at the time in the country from Cyrene to Tripoli. The nature of this "report," or rumor, is suggested in Norton's telegram to Professor F.W. Kelsey at Ann Arbor, March 13: DECOU KILLED MARCH ELEVENTH BY ARABS SENT HERE FOR THIS PURPOSE ACCORDING TO REPORT BY ITALIAN INFLUENCE NOTIFY MOTHER NORTON. In March 1911, DeCou, who had too insistently run after a Bedouin woman, was killed by her husband; and, uselessly, Norton continued for some time to repeat in the drawing-rooms of Rome that the assassination was due to the secret plots of the Italian archaeological expedition of Federico Halbherr, than whom a more perfect gentleman could hardly exist. Certainly, Oliverio did not invent this story of a jealous husband: he must have been told it by the Arabs, with whom he was in daily contact. It is an essential part of oriental courtesy to tell the listener what he wants to hear; and the notion that DeCou perished as victim of a delitto di passione might sound plausible to a listener from Calabria. Norton, who would most vigorously have refuted this explanation of the crime and who also--as we shall see--never believed that Italian archaeologists were involved in the matter, was no longer alive. He had died in Paris in August, 1918, worn out by his exertions in organizing a voluntary Ambulance service in France (the nucleus of the American Field Service). The murder of DeCou, occurring on the eve of the Italo-Turkish War of 1911 and of the consequent Italian occupation of Libya, rapidly became a diplomatic issue involving the United States, Turkey, and Italy. The relevant diplomatic papers have not yet been published by any of the countries concerned; but a great deal can be gleaned from the correspondence of Professor Kelsey, who, as president of the Archaeological Institute, was deeply concerned in the matter. Moreover, in 1957, I was also able to establish contact with Dr. Arthur F. Sladden, the English physician who accompanied Norton's expedition and who had kept a diary of his experiences. Two facts emerge very clearly from the available evidence. The first is that the assassins could not have known that DeCou would present himself as a target in front of the ruinous modern wall where they were hidden. On the morning of March 11, Norton remained in camp, and delegated to DeCou the task of assembling, checking, and leading the Arab laborers from the camp up to the Acropolis. Normally, Norton himself did this, and the assassins, hidden halfway up the Acropolis Hill, must have been expecting the leader of the American party. They probably did not realize, as they fired, that they were killing the wrong man. On the other hand, the assassins did know that the Turkish soldiers guarding the American expedition were invariably slow in leaving their camp in the early morning. This was the best time to strike, and to escape. Second, all the accounts we have of DeCou--whether from friends like Norton, or from acquaintances like Sladden--make it almost inconceivable that this shy, retiring, and fastidious scholar should have forced his attentions on an Arab woman. Cyrene was a cold place that winter: there was even some snowfall, and undercurrents of xenophobia manifested themselves in nocturnal rifle shots at the expedition's camp. Even among the young and passionate, romance could not have blossomed easily. And, in any case, DeCou was not that kind of man. Norton insisted that assassins had been sent from outside. Norton's statement that "the motives of the crime were not personal...the purpose was to thwart the undertaking by driving the Americans out of the country" must certainly be accepted. But was it mere xenophobia or a conspiracy? Norton, as we have seen, insisted that assassins had been sent from outside. He reported in a letter to the Kaimakam (prefect) of Derna on 15 March that the murderers could easily be identified. No less than 85 laborers were with DeCou when he was shot. "Doubtless all the workmen were witnesses of the crime and in consequences it is probable that they saw and recognized the assassins.... Immediately, the rumor spread that the murderers belonged to the Shebera kabila [subdivision of a tribe], family Ait esh-Shelmi, living at Bersis near Tocra.... At the official meeting of the local sheikhs they testified on oath that the murderers were not of this district, that they are shepherds in the service of the Italians, and that they were instigated by the latter with the promise of a high reward." The sheikhs were, one suspects, protesting overmuch. The Esh-Shelmi family, which was suspected of the murder (perhaps rightly: an Italian source states that Saad esh-Shelmi, killed in an inter-tribal fight in 1914, was DeCou's murderer), belonged to the Sheberga subdivision of the Hasa tribe. Clearly, the assassins were well known among the Hasa. Moreover, if anyone at Cyrene had wished to have Norton assassinated, he would obviously have employed a murderer from just such a family--belonging to the Hasa, but resident outside its normal tribal confines. The remarkable thing is that any members of the Sheberga should have entered such a plot, since they were the main beneficiaries form Norton's operations. Initially, Norton had engaged workmen from all the local tribes; but, as he was digging on Sheberga land, he eventually (just about the time of DeCou's murder) employed only the Sheberga, paying them a daily rate of 7.5 piastres (25 cents of that time) per day. This was a generous wage for the period, even after the sheikhs who supplied the workmen had extracted their customary baksheesh. But a number of Arabs around Cyrene--mainly those who, for one reason or another, had not found their way onto the American pay-roll--resented Norton's expedition, and refused to believe that its motives were purely scientific. This skepticism was unfounded, but understandable, for it must have been apparent to the Moslems of Libya in 1911 that they were about to be swallowed by a western and Christian power. The latter years of the nineteenth century had seen Tunis occupied by the French, and Egypt and Sudan by the British: the Turks were patently too weak to keep their last African province. Moreover, some of the "scientific expeditions" that had marched through Cyrenaica were highly suspect. In 1907 and 1908, the caravans of Senator De Martino were plainly reconnoitering a future Italian colony; and the Jewish Territorial Organisation of Israel Zangwill sent British geologist John Walter Gregory to see if Cyrenaica could support a Jewish settlement. Consequently, when Norton arrived at Cyrene in March 1910, he met a much more hostile reception than had greeted the Utowana in 1904. Some local pundits even swore that the waters of Ain Shahat (the fountain of Apollo) had begun to dry up since the Nasrani (Christians) had interested themselves in the site! Having communicated to the Turkish authorities all the information he could gather regarding the identity of the two assassins, Norton confidently awaited their arrest. Everybody at Cyrene knew that they were still in the area; but what Norton did not know is that they had powerful friends, and that the Turks were hesitant to take any action too drastic. This was shown clearly when, at last, Haj Ahmed Sawan, the Mudir of Shahat (Cyrene) learned that the murderers were sheltering at Ghegab, some miles to the southeast, and went there with a detachment of Turkish troops. The Mudir of Ghegab, Ali Abeidi, refused to hand over the suspects, stating that they were enjoying the traditional rights of sanctuary, and that his colleague from Shahat had no jurisdiction in the Ghegab area. When the Turkish posse became too insistent, the local tribesmen, led by their Mudir, drove them away by force of arms. When this defiance of Turkish authority was reported to Benghazi, the Mutasserrif (governor) summoned Ali Abeidi in the capital to explain himself. Passing through Derna to embark on the weekly postal ship, Ali Abeidi called on the Italian vice-consul, Ugo Sabetta, and told him: "The Turks cannot do me any harm." Indeed, the people of Ghegab refused to pay any taxes until he was reinstated as Mudir, very shortly afterwards. In the face of this chaotic situation, Norton's letters to his sponsors in the United States contained increasing appeals for American intervention, not only diplomatically through Constantinople, but also more directly by the time-honored method of sending a gunboat to the scene of the crime, a method Kelsey and other sponsors also urged on the State Department. In the second week of April 1911, Gardiner M. Lane, director of the Boston Museum of Fine Arts, obtained an interview with President Taft, who "said that he would send a cruiser to the coast of Tripoli as soon as one was made ready, and that he proposed to call in the Turkish Ambassador and Italian Ambassador to express to them his feelings in regard to the treatment of our expedition" (Lane to Kelsey, 13 April). But the State Department later seems to have advised the President against any precipitate action, since the Ottoman Government had sent reassurances that the assassins would be arrested and brought to judgment without further delay. Meanwhile, Norton, exasperated by Turkish impotence in Cyrenaica and disillusioned by inaction from the United States government, was preparing in May to close down his operations for the summer. By remaining at Cyrene for two months after DeCou's murder, he had proved that he would not be intimidated into abandoning the project. Now had come the time for a summer vacation before resuming work at Cyrene in the following September. Armour brought out his yacht to Marsa Susa, Cyrene's port, and embarked the members of the expedition. The finds and equipment remained locked up in the wooden hut, in charge of the local authorities. And on the hillside behind the American campsite remained DeCou's grave, walled around with stones. Before sailing from Benghazi, Norton and Armour called on the Mutasserrif, and later wrote Kelsey (29 May): "The sum and substance of the conference...was that the Mutasserrif knew where the murderers were but was prevented by local conditions (insufficiency of troops and the protection afforded the murderers by local notables) from effecting their arrest by direct methods. He was hoping to do it by trickery...I asked him directly whether he thought the murder was instigated by the Italians and he replied: "My knowledge about that is so serious that I do not dare tell you." And on that inconclusive or evasive note, Norton left Cyrenaica. In September, refreshed and invigorated by his vacation, Norton assembled his team in Europe, and met Armour, whose Utowana was, once again, to carry the expedition. During the summer, Kelsey had renewed pressure on Washington to provide them some protection. On September 13, he cabled Norton and Armour that the cruiser U.S.S. Chester would meet the Utowana at Gibraltar and accompany her to Tripoli, Benghazi, and Derna, "in each place paying military and civil respects to the proper officials of the Turkish Government." After a visit to Marsa Susa, where the officers of the Chester would disembark to visit the ruins of Cyrene, the cruiser would remain at Malta "pending the outcome of the trial of certain accomplices of the murder of DeCou, if not the trial of the murderers themselves in absentia. It will be wise to keep the Chester within easy distance until the assassins are arrested and the trial completed, and in this we shall have the full co-operation of the Departments here." Norton must have been heartened by the official promise of American protection and Turkish justice. At last, an extended scientific program seemed guaranteed. But he was rapidly disillusioned. On September 29, 1911, Italy declared war on Turkey and sent naval forces to bombard and occupy Tripoli and Benghazi. The coast of Libya was now a war zone, and, although Cyrene was not to be occupied by the Italians until May 1913, no further American work there was possible. The expedition broke up; its members returned home. The exploration of ancient Cyrene was, for the next 30 years, to be an Italian prerogative. But was there an Italian hand in the murder of DeCou? Norton did not accuse any Italian archaeologists. On the contrary, he wrote Kelsey (24 October 1911): "The [Italian news] paper said that I had accused Halbherr and Aurigemma of instigating DeCou's murder. I should not like either of these gentlemen to believe this, and it has occurred to me you might write Halbherr and tell him the statement is false. Tell also, if you like, whom I did and do accuse." Norton, in fact, knew Halbherr personally. He had met him in Benghazi in the spring 1910, and the two archaeologists had come to an amicable modus vivendi, reserving Cyrene and its port of Apollonia for American research and freeing the Italians to seek digging concessions from the Turks for the Roman cities at Tolmetia and Tocra. "I do not believe that the Italian government had any hand in it"
Nor did Norton ever suggest that the orders for the assassination had come from Rome, although he knew full well that the Turkish concession of Cyrene to an American team had evoked loud protests from those Italian nationalists who regarded Libya as their present "sphere of influence" and their future colony. Soon after DeCou's death, Norton wrote (March 24): "I do not believe that the Italian government had any hand in it, but I do believe that the Italian consul in Benghazi had." He, in fact, blamed the instigation of the murder on this one man, Vincenzo Bernabei, who, Norton said, had already tried to obstruct the Americans at Cyrene in every way. Without access to diplomatic archives, one can hardly judge what justification--if any--Norton had for his accusation. Certainly, no responsible diplomat would directly instigate the assassination of a citizen of a friendly country. On the other hand, in the month's prior to DeCou's death, a great deal of Italian money was being distributed within Cyrenaica--normally through the recently established Banco di Roma--with a view to winning the sympathies of Arab notables. This was a normal method, used by all colonial powers, of softening the ground for future penetration. Several leading Arabs of Benghazi were already beneficiaries of this largesse; and from them, perhaps, word was spread round, reaching even the Hasa, that expelling the American expedition might probe even more profitable than its continued presence. Today, the Arabs of Cyrene seem to agree that the murder of DeCou was motivated by "money" rather than by pure fanaticism. But where this "money" came from, or on what conditions, is not clear. We cannot justly condemn Bernabei only on Norton's belief and the hearsay evidence in his letters. The Italian Government itself must have been appalled at Norton's suggestion that their representative at Benghazi could have instigated the crime. At a time when Italian immigrants were flowing into the United States in large numbers, Italy could ill afford to alienate the American public. The Italian Ambassador at Washington must have winced on receiving from Secretary of State Knox, in July 1911, a memorandum said to "give a very vigorous representation of the case, with special reference to the attitude of certain Italian officials." Consul Bernabei was not immediately recalled from Benghazi--that would have been tantamount to admitting his responsibility. His office, in any case, ceased to exist in September when Italy occupied. Nevertheless, the Ottoman Government, which normally would pay any indemnity for a foreign national killed within their borders, seems to have convinced the United States that the true responsibility lay elsewhere. That even Italy eventually accepted this view is suggested by a news item, datelined Washington, February 26, 1913, in the Detroit Free Press: "The Italian government will pay $25,000 indemnity for the murder in Cyrene, Tripoli, of Herbert Fletcher DeCou. While this action was not stipulated as a condition necessary to the ratification by the U.S. Senate of the renewal, for five years more, of the United States-Italy treaty, it was a significant if voluntary action by Italy at a time when the latter country desired the renewal of its treaty with this country." The announcement of this accord was made by Senator William Alden Smith, of Michigan, who, the paper said, "had demanded that Italy assume responsibility as present possessor of Tripoli." Thus by this "voluntary" indemnity, paid to the Archaeological Institute of America, and for the benefit of DeCou's heirs, the long diplomatic negotiations over the death of DeCou were settled. Strangely enough, the greater part of the indemnity still exists, as the "Cyrene Fund" (now totaling $29,000), on the books of the Archaeological Institute. DeCou, unmarried, left only an elderly mother, who may not long have survived him. DeCou is, in fact, better remembered at Cyrene than in Michigan: he passed into Arab folklore. For when the Italians landed at Derna in October 1911, and the cannonade of their battleships could be heard at Cyrene, the poet of the Hasa tribe (all Arab tribes have their poets) composed a ballad which expressed the uneasy conscience of his fellows. When anyone is killed among the bedouin, blood money must be paid; it had not been paid for DeCou. The poem, still repeated with ritual hand-clappings around Arab campfires, begins: "They [the Christians] are coming to claim the debt for DeCou." The tribesmen were, of course, a little confused: the Americans were actually claiming the blood money from Italy, but the battleships were Italian! Everybody felt rather guilty about DeCou. The Libyan Arabs have always respected his grave, and the Italian archeologists of Italy's colonial period planted flowers around it and kept it neat and tidy. Norton's expedition was at Cyrene only for a brief sojourn (compared to the three decades of Italian archaeological research that followed), but it is still dimly remembered today, if only because the old people use the word melikan (from American) to designate antiquities and excavations. Old suspicions and animosities have long since gone. 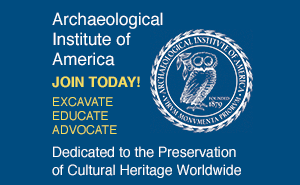 Italians, Americans, and others now collaborate in the study of the ancient city. The Libyans have their independence and are training their own archaeologists. The Hasa no longer have to find work under foreign expeditions: most of them are already working for the government or for the oilfields in the desert. DeCou, the quiet American, innocent victim of a rather discreditable episode in western history, sleeps in his grave and, as Norton wrote in a moving passage about his friend: "his blood has added a new grace to the asphodel where it blows among the sleeping ruins of Cyrene."